You really don't need a comma after the word 'effective'. 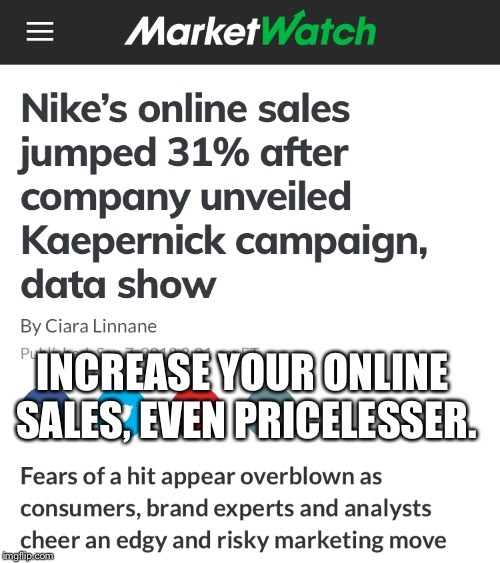 Nike probably didn’t do it for the money,they have billions, just sayin. Develop a simple, effective, symbol for marketing. Genius. 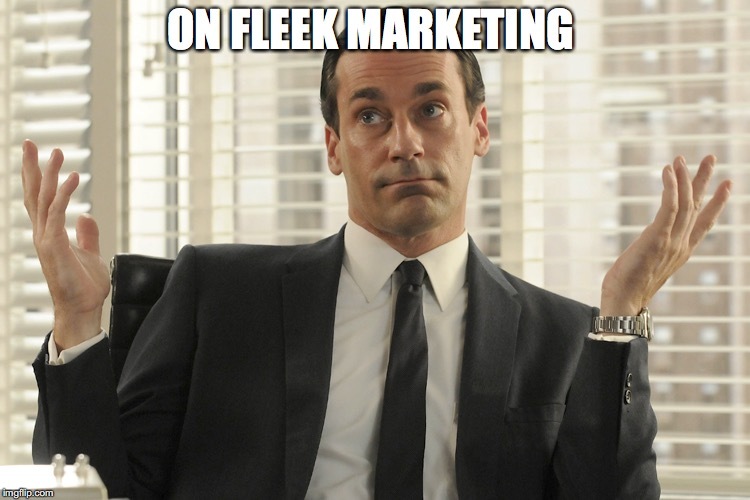 Develop a simple, effective, slogan for marketing. Brilliant. 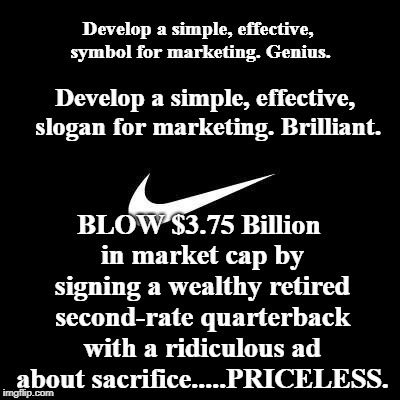 BLOW $3.75 Billion in market cap by signing a wealthy retired second-rate quarterback with a ridiculous ad about sacrifice.....PRICELESS.